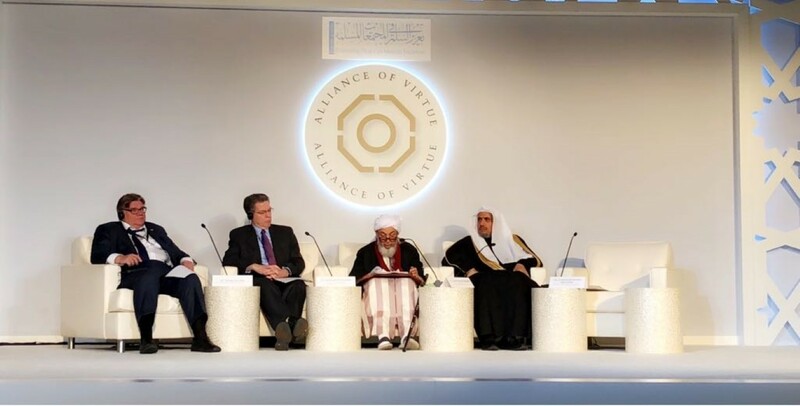 NEW YORK, 7th February, 2018 (WAM) -- The Alliance of Virtue for Common Good conference which concluded in Washington today called for the establishment of an Alliance of Virtue to grow and implement the 'Washington Declaration.' ''People from all sectors – including public service, religion, business, academia, civil society, and the arts – share a responsibility to encourage international and intercultural understanding and to oppose any effort to convey information that is false or defamatory toward the members of any ethnic, racial, or religious group,'' the Declaration says. ''Together, we can help the world to understand that differences of doctrine are no bar to cooperative deeds; on the contrary, these differences enable us to address shared challenges from diverse vantage points and through a variety of strategies. In that spirit, we promise to exchange ideas, train and encourage our congregants to engage in joint projects and advocacy, form partnerships with relevant national and international actors, reach out to the leaders of other faith and ethical traditions, and create a model of collaboration that people of all religions can pursue in support of the common good,'' it adds. In its final statement, the conference's called for the provision of one billion meals to feed the communities that have been made vulnerable by the violence and conflict that challenges the world on the path forward. 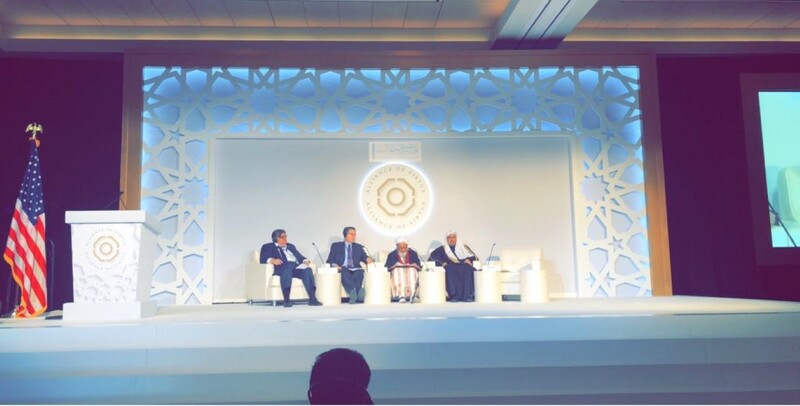 The forum underlined the importance of creating a "multi-religious body consisting of prominent religious actors to support mediation and reconciliation that will act in accordance with our shared values to build peace in the world. We will establish a committee to adopt these recommendations that reflects the fullness of diversity in our communities and across the world." "The vision we propose now is of a revived Alliance of Virtue, global in nature, open to men and women of every faith, race, and nationality, and dedicated –like its earlier namesake – to joint action in the service of sustainable peace, justice, compassion, and mutual respect. 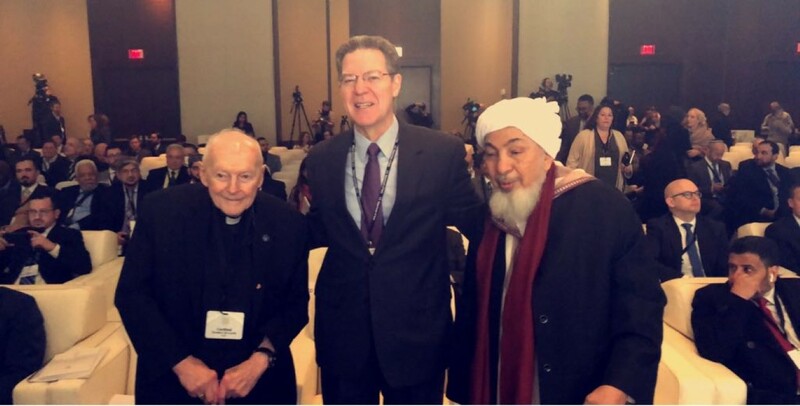 We take this step because we believe that individuals and communities need to move beyond mere tolerance and to dedicate themselves to a future in which all can flourish and in which all – empowered by faith – can build reconciliation and seek to heal the wounds of conflict and violence." 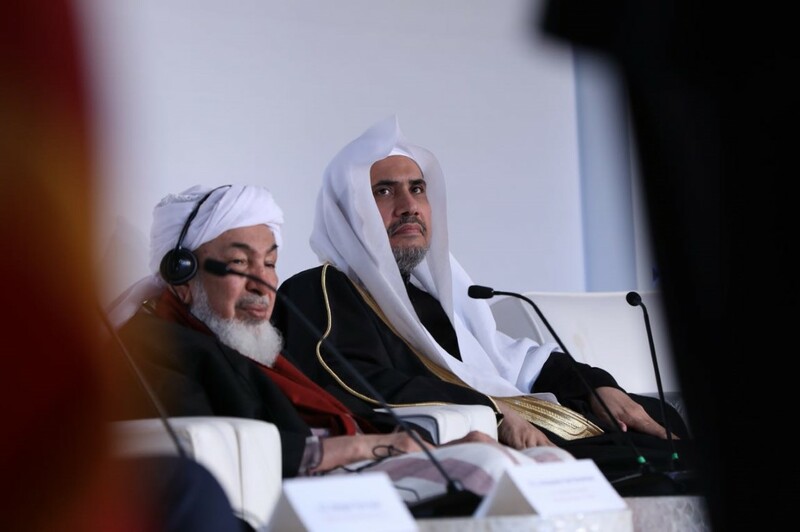 The statement added, "We believe that religious leaders have a special responsibility to ensure that the tenets and teachings of our faiths are not distorted for wrongful purposes and that, on the contrary, they provide a living example of God’s love at work in the world. In light of that responsibility, we reject the polarization that leads to conflict and war. We are determined to deepen our solidarity and thereby ensure that religion is a force for reconciliation and harmony. We pledge to work across confessional divides in support of values that are central to each of our faith traditions, including peace, mercy, forgiveness, compassion, justice, and truth." Affirming the importance of peaceful coexistence and religious diversity, the statement said, "Together, we can help the world to understand that differences of doctrine are no bar to cooperative deeds; on the contrary, these differences enable us to address shared challenges from diverse vantage points and through a variety of strategies. In that spirit, we promise to exchange ideas, train and encourage our congregants to engage in joint projects and advocacy, form partnerships with relevant national and international actors, reach out to the leaders of other faith and ethical traditions, and create a model of collaboration that people of all religions can pursue in support of the common good." Following is the full text of 'The Washington Declaration': Though mindful of our differences, we are called by the ethical values we hold in common to embark on a new course informed by old wisdom, a journey that begins with the knowledge that all humans come from a single origin, that each is endowed by our Creator with intrinsic human dignity and related inalienable rights, and that we cannot love and serve God if we fail also to love our neighbors – including the strangers in our midst. Recognizing that our shared values are more important than our differences, and that we are strongest when we act together, we pledge to combine our best efforts to foster unity where there is discord, aid the impoverished, tend the vulnerable, heal the poor in spirit, and support measures that will ensure respect for the dignity of every human being. We will be guided in this endeavor by convictions that flow from our deepest theological understandings: All people, regardless of faith, are entitled to religious liberty. There is no room for compulsion in religion, just as there are no legitimate grounds for excluding the followers of any religion from full and fair participation in society. This principle is prominent in Judaism, Christianity, and Islam and is intimately associated with the United States, where the Virginia Statute for Religious Freedom preceded even the adoption of the federal constitution. Each government has an obligation to respect the dignity and related rights of all who dwell within its jurisdiction. Each should employ its resources to address the root causes of inequality and to create opportunities for people to make full use of their energy and talents to provide for their families and contribute productively to society. Each should be a faithful steward of the natural environment, which we hold in trust for future generations. Each state has a duty, per the United Nations Charter, to refrain from aggression or attempting to subjugate others and to cooperate in resolving disputes peacefully, lawfully, and justly. Governments should respect, promote and implement international human rights standards. People from all sectors – including public service, religion, business, academia, civil society, and the arts – share a responsibility to encourage international and intercultural understanding and to oppose any effort to convey information that is false or defamatory toward the members of any ethnic, racial, or religious group.